All Cremona Premier Student Violins are designed to meet the specific needs of beginning and advancing students. 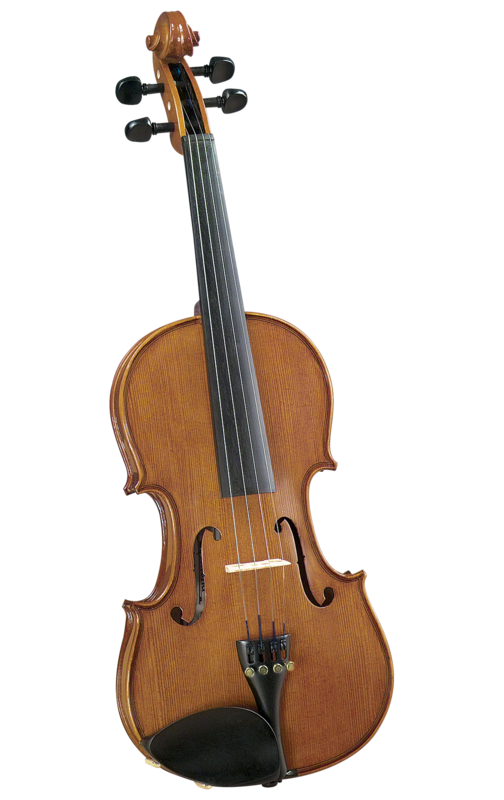 Our best selling violin outfit for more than 30 years, the new and improved SV-175 is no exception. Each instrument features solid, hand-carved and graduated maple and spruce, who's traditional design and material specifications meet or exceed NAfME recommended guidelines for student instruments. Each instrument has been upgraded to include premium quality Prelude strings by D'Addario to bring out the best tone possible in every instrument, and a beautiful new translucent warm brown finish which lets the grain show through. Skillfully crafted to be just as pleasing to the eye as it is to the ear. To complete these outfits, each includes the ever-popular TL-33 oblong violin case with built-in hygrometer, and an exceptional LB-13 J. LaSalle octagonal brazilwood bow with ebony frog and genuine unbleached horsehair!